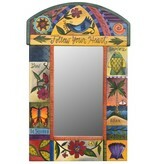 Follow your Heart, a beautiful hand designed, etched and painted mirror with a rounded top. Measures 19"width, 29"height & 1.75"depth. 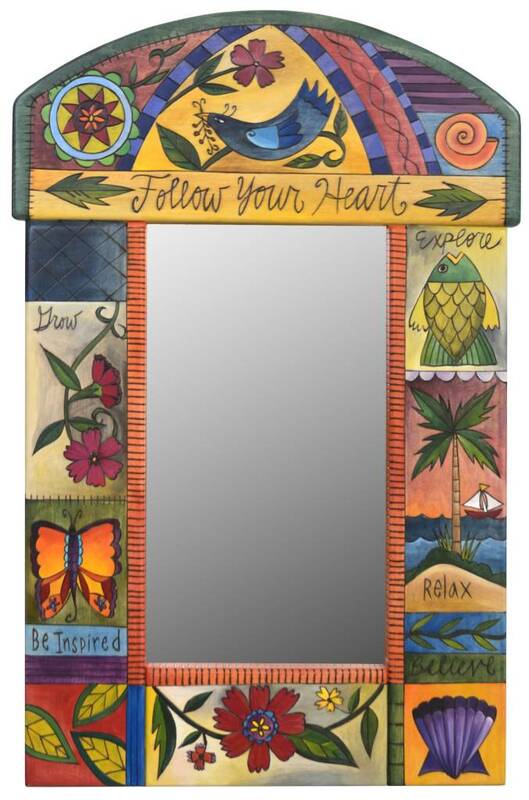 Created by Sticks in Des Moines, Iowa a company of over 70 highly skilled and talented artisans. Items custom made to order and drop shipped directly to you within 2-4 weeks.